Getting a loan on one or two rentals is not difficult if you have good credit and a decent debt to income ratio. However, many banks will tell you it is impossible to get more than four loans on rentals. The fact is there are many ways to get loans on multiple rentals, but the big banks don’t like to do it. There are ways to get loans on 10, 20 or even 100 properties. There are traditional banks that will finance more than four properties and portfolio lenders who will lend on multiple properties if you know where to look. 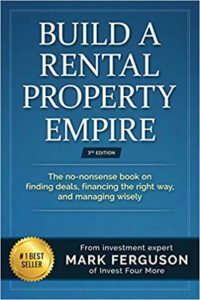 There are even national lenders that specialize in rental property loans who prefer to lend on huge packages of rentals. When you hear a bank tell you it is impossible to get more than four mortgages, they are only talking about their bank. Don’t give up hope! Why don’t big banks like to lend on rentals? I think long-term rental properties are one of the best investments. Part of my retirement strategy is buying as many long-term rental properties as I can. The problem with buying many properties is most lenders don’t like lending to an investor who already has four mortgages. Most big banks will tell you it is impossible for them to give a fifth mortgage to anyone. The big banks have strict policies about loaning to investors because their primary business is lending to owner occupied buyers. There is no law that says they cannot give investors more loans, it is simply the bank’s policies. What is the best loan for your first rental? I used a conventional loan to finance my first rental that was from Bank of America. The loan was not easy to get, but I got it. I am a real estate agent and it is tougher for self-employed people to get loans, especially right after the housing crash! It was a 30 year fixed rate loan with an interest rate of right around 4 percent and I had to put 20 percent down. It was a great loan and I wish I could have continued to get loans like that, but Bank of Americal would not lend to me after I had four loans in my name. If you are buying your first or second rental, a big bank can be a great option for loans. How much money can you make with rentals? Can you get a conventional loan with four mortgages? It is possible to finance more than four properties with a traditional bank. Technically Fannie Mae guidelines say investors should be able to get a loan for up to 10 properties. Even with these guidelines in place, many lenders still won’t finance more than four properties because it is too risky for their investors. If you are diligent and make enough calls you should be able to find a lender who will loan up to ten properties. If you want to try an easier route, call a mortgage broker who can help you find a lender who can get it done. These are the requirements for most lenders that will finance from four to ten properties. These guidelines are much stricter than when you are getting a loan and have fewer than four mortgages. 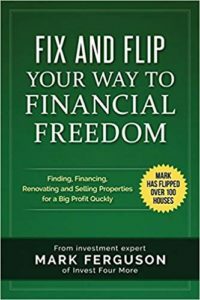 If you want to refinance any of your properties and you already have four mortgages, most banks will only allow a 70% loan to value ratio and probably won’t allow you to take any cash out. One of the keys to my rental strategy is being able to take cash out when refinancing my rentals. I then take that cash out money and invest in more rental properties. Lenders will say it is too risky to do a cash-out refinance for investors with more than four mortgages. In my opinion, if an investor has the cash to put 20% down and has the cash reserves needed, they are less risky than the first time home buyer putting 3.5% or less down. Just because the big banks will not do it, does not mean it is impossible to do! Is a refinance or a HELOC better? Local lenders who offer portfolio financing are another option (my favorite) for investors. It can take some research, time and networking to find a portfolio lender, but they have much looser lending guidelines. Portfolio lending means the bank is using their own money to fund deals, and they don’t have to use Fannie Mae guidelines. My portfolio lender has no limits on how many loans they will give to investors as long as they have the cash reserves and income to support the mortgages. They allow 20% down on those properties and don’t require your life’s history to give you the loan. There are some drawbacks with a portfolio lender. With my local bank, they do not offer a 30 year fixed mortgage. They offer a 15 year fixed, a 5/30 or a 7/30 ARM (adjustable rate mortgage). I prefer to use ARMs instead of 15-year mortgages because the payments are much lower, which gives me much more cash flow. I can save that cash flow and keep buying more and more rentals that make much more money than the 4% or 5% interest rates on the loans. It does not hurt me to get an ARM and it is so much easier working with a local bank than it is working with the big banks. Is a 15 year or 30-year mortgage better? In order to find a portfolio lender, it takes some work. The first step is to ask everyone you know in the real estate industry. Ask Realtors, lenders, title companies, property managers and other investors. Local real estate investor clubs may be able to provide information on portfolio lenders as well. If you can’t find a portfolio lender through word of mouth, try calling local banks. Ask banks if they loan their own money, what their policies are for investors, and if they don’t offer the right terms ask them who might. Here is a great article with much more information on how to find a portfolio lender. 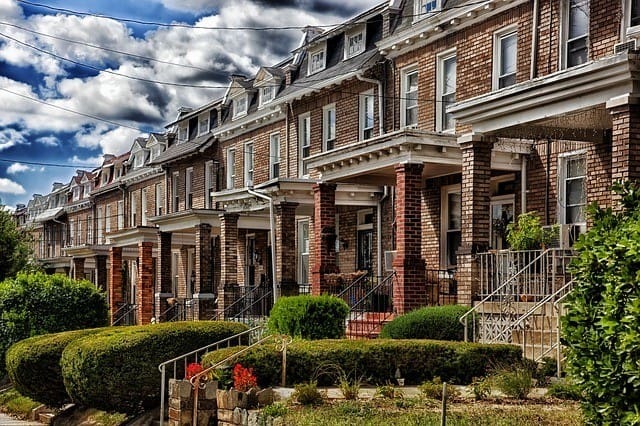 There are some new programs available from national rental property lenders that are built for investors to get loans on their rental properties. The lenders base their loans on the properties, not the investors. They have slightly higher rates than conventional lenders but are a great option for those who cannot find other financing. They often are much easier to work with if you have a high debt to income ratio, bad credit, or other issues. They usually do not have any limit on the number of loans you can obtain. If I ever run into a problem finding a local bank to finance my rentals, I would look into using some of the national companies to finance me. You can see a list of some of the lenders here. There are ways to finance more than four properties even though many people will tell you it is impossible. Try talking to a mortgage broker who can get you in touch with banks that will finance more than four properties. If you have a big goal like myself like buying 100 properties in the next ten years, then you will need a portfolio lender who will finance more than four, more than 10 and more than 20 properties.